UAVs are increasingly used in humanitarian response. We have thus added a new Clicker to our MicroMappers collection. The purpose of the “Aerial Clicker” is to crowdsource the tagging of aerial imagery captured by UAVs in humanitarian settings. Trying out new technologies during major disasters can pose several challenges, however. So we’re teaming up with Drone Adventures, Kuzikus Wildlife Reserve, Polytechnic of Namibia, and l’École Polytechnique Fédérale de Lausanne (EPFL) to try out our new Clicker using high-resolution aerial photographs of wild animals in Namibia. As part of their wildlife protection efforts, rangers at Kuzikus want to know how many animals (and what kinds) are roaming about their wildlife reserve. So Kuzikus partnered with Drone Adventures and EPFL’s Cooperation and Development Center (CODEV) and the Laboratory of Geographic Information Systems (LASIG) to launch the SAVMAP project, which stands for “Near real-time ultrahigh-resolution imaging from unmanned aerial vehicles for sustainable land management and biodiversity conservation in semi-arid savanna under regional and global change.” SAVMAP was co-funded by CODEV through LASIG. You can learn more about their UAV flights here. So our pilot project serves two goals: 1) Trying out the new Aerial Clicker for future humanitarian deployments; 2) Assessing whether crowdsourcing can be used to correctly identify wild animals. We’ll be running our Wildlife Challenge from September 26th-28th. To sign up for this digital expedition to Namibia, simply join the MicroMappers list-serve here. We’ll be sure to share the results of the Challenge with all volunteers who participate and with our partners in Namibia. We’ll also be creating a wildlife map based on the results so our friends know where the animals have been spotted (by you!). Given that rhino poaching continues to be a growing problem in Namibia (and elsewhere), we will obviously not include the location of rhinos in our wildlife map. You’ll still be able to look for and trace rhinos (like those above) as well as other animals like ostriches, oryxes & giraffes, for example. 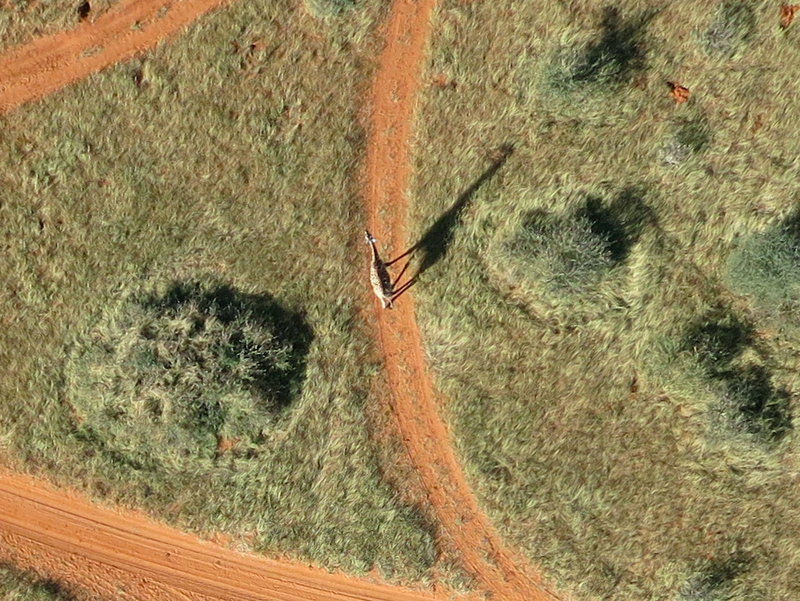 Hint: shadows often reveal the presence of wild animals! 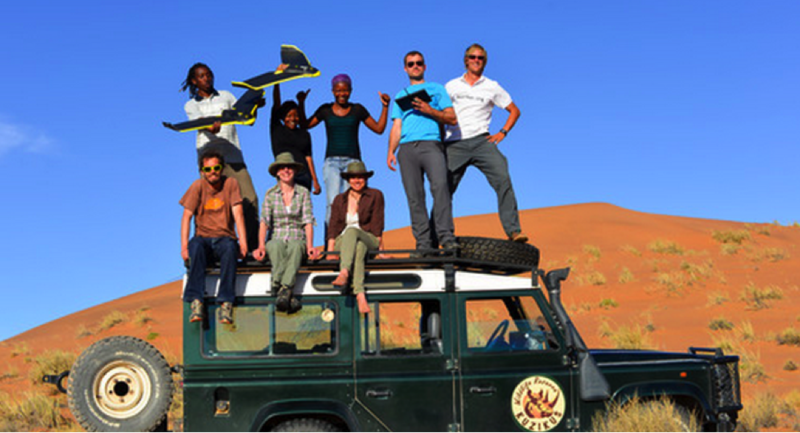 Drone Adventures hopes to carry out a second mission in Namibia early next year. So if we’re successful in finding all the animals this time around, then we’ll have the opportunity to support the Kuzikus Reserve again in their future protection efforts. Either way, we’ll be better prepared for the next humanitarian disaster thanks to this pilot. MicroMappers is developed by QCRI and is a joint project with the United Nations Office for the Coordination of Humanitarian Affairs (OCHA). Any questions or suggestions? Feel free to email me at patrick@iRevolution.net or add them in the comments section below. Thank you! 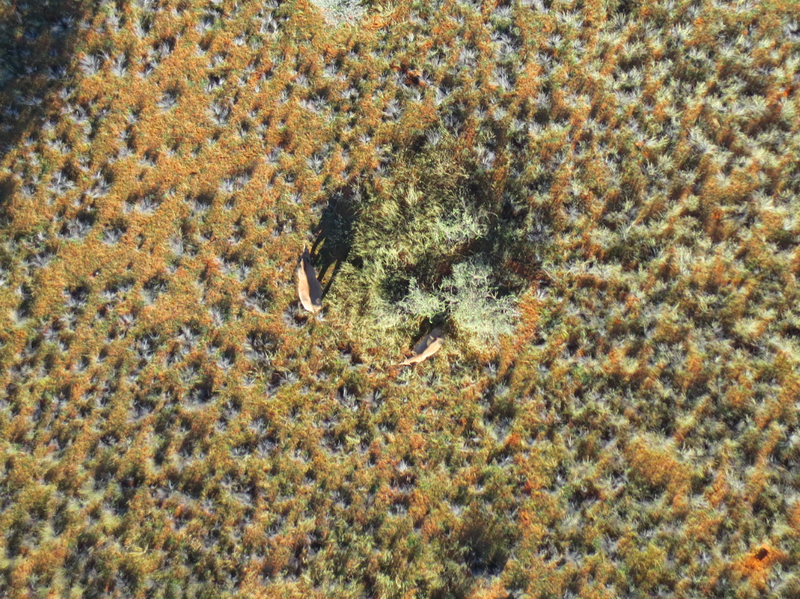 This entry was posted in Crowdsourcing, Drones/UAVs, Humanitarian Technologies and tagged Aerial, Clicker, MicroMappers, Namibia, Protection, Wildlife. Bookmark the permalink.